Friendly, professional service since 1954. 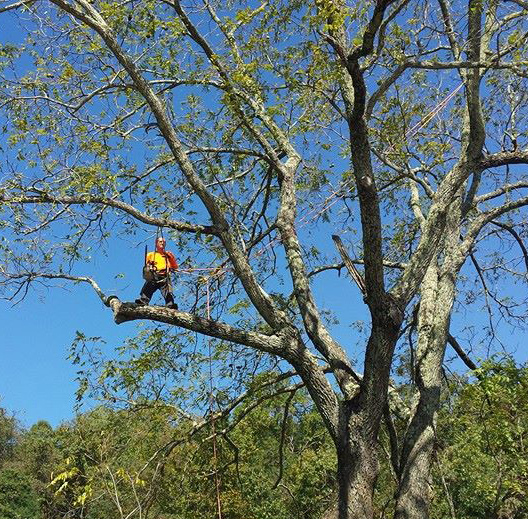 Staunton Tree Service is a trusted name in the Augusta County for the last fifty-five years, and there are no signs that will be changing anytime soon. 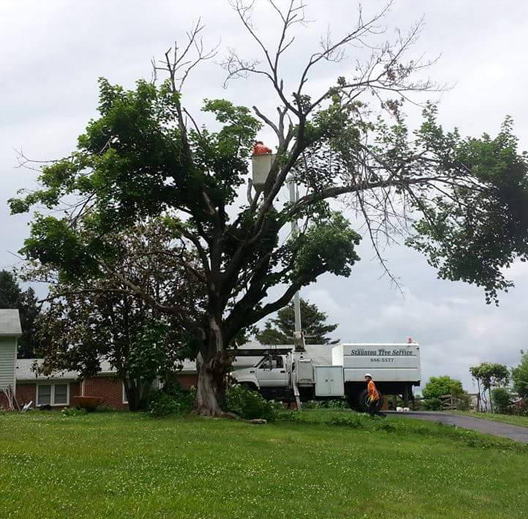 Our goal is to offer up reliable, economical, and safe tree care, removal, and treatment to the residents of Augusta County. 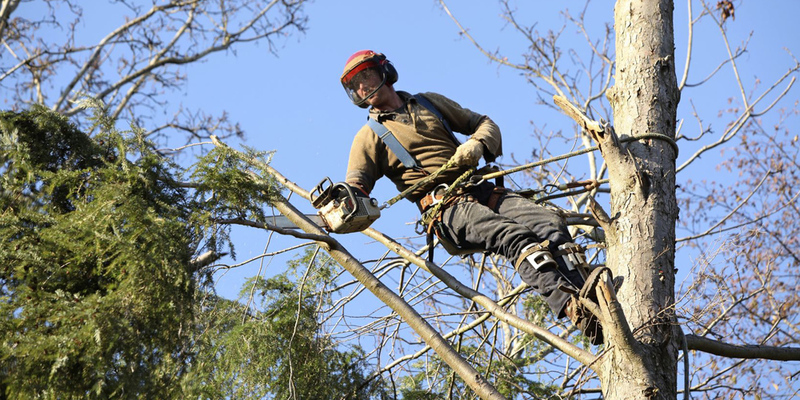 Our team has Certified Arborists and Certified Tree Workers as well as some of the latest (and greatest) tools and pieces of equipment. All of our workers and equipment are fully ensured. Use the form below to request a free estimate on your Tree Service needs in the Staunton, VA area. 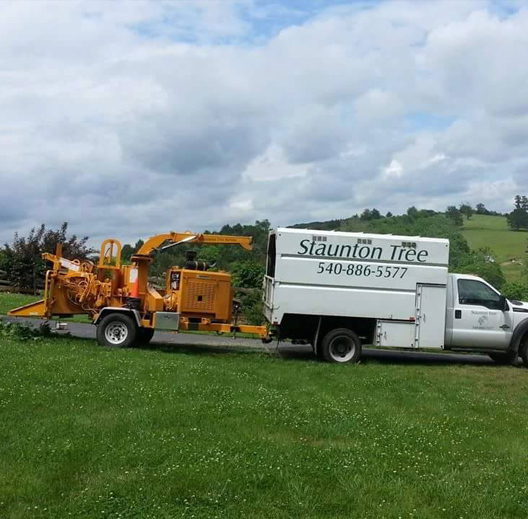 At Staunton Tree Service, we specialize in tree removal, tree pruning, stump removal, tree cabling, and emergency services. We also offer free wood & mulch to our area customers. Some of the equipment we have includes: a 75-foot bucket truck, industrial size chippers, chip truck, grapple truck, and stump grinders. However, our best tools and equipment we have are our brains and the collective knowledge that we possess in taking care of your trees and shrubs. Give us a call today at (540) 886-5577 to set up a free estimate. Trees can sometimes pose a danger to us, no matter how well we take care of them. Some of the reasons that people take down trees include: they pose a danger to your safety or the safety of your home; they are dying and will quickly become unsightly; they are pulling nutrients from the rest of the yard; or they are just in the way of some other project for your yard. Some people also need a tree remove once it has already fallen due to storms, decaying, death, and/or misjudgment in cutting down. The team at Staunton Tree Service will be able to look at your yard and trees to see if they can be saved if you don’t want to remove them. Once that happens, we can create a safe and effective way to bring down the tree. 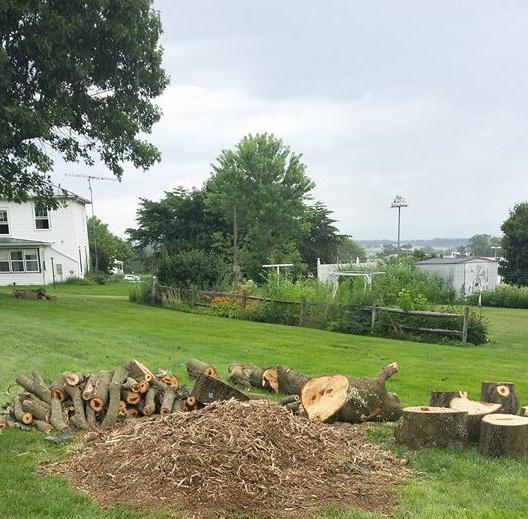 Once the tree is down, we also offer firewood and mulching services, so you don’t have to lose a piece of that tree in your yard. Safety is a main concern for our team, ensuring that no matter what tools we are using, everyone involved is safe. We pride ourselves on our safety record and hope to continue that long into the future. 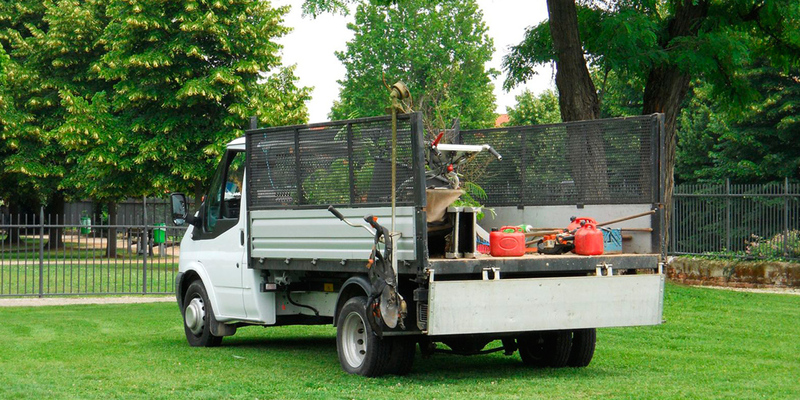 We ensure that your yard is thoroughly cleaned and free of debris before we leave the site. Everything that we put into your yard, we take with us when we go. Give us a call today at (540) 886-5577 to talk about your project – large or small – and we will give you an estimate. If you like the look of manicured trees or you just want your trees to continue growing healthy, then tree trimming and pruning is important. Trimming and pruning your trees doesn’t only make them look good, however, that is just a byproduct of keeping them healthy. Pruning, when done by professionals like those at Staunton Tree Service, can help your trees grow in the right direct, provide more fruit, and even become fuller. However, if someone takes it into his own hands, then it can be deadly. 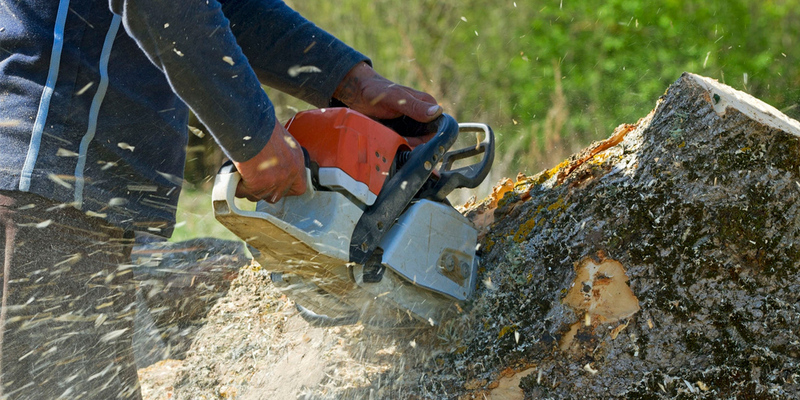 When done by homeowners, the wrong cut can damage your tree and make it unsalvageable. In the Augusta County area, the weather dictates a lot of the signs we see about whether or not the trees are ready to be pruned in certain places. This means that you have to a) know how to read the signs and b) know when to cut. Our licensed team knows how to read those signs and works the long hours so that you can have the best looking, healthiest trees at any time of the year. Storms hit us a lot in Virginia, it is just a side effect of living here. Unfortunately, that also means that our trees sometimes get damaged from the winds, hail, snow, rain, and lightening. Usually these storms hit during a time when we don’t want to be outside – it’s too hot, too cold, or there is just something else going on. 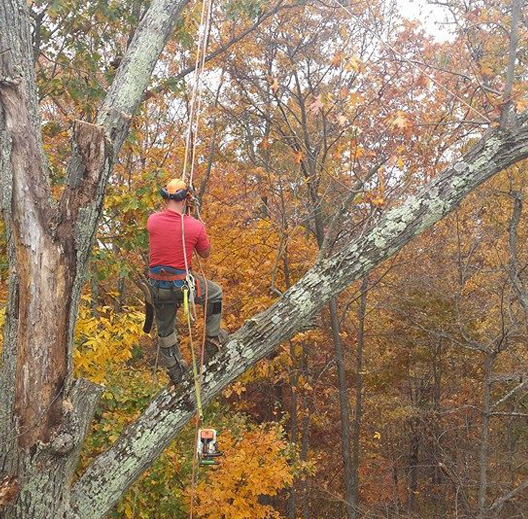 Instead of doing the work yourself, allow the Staunton Tree Service team to take care of it for you. 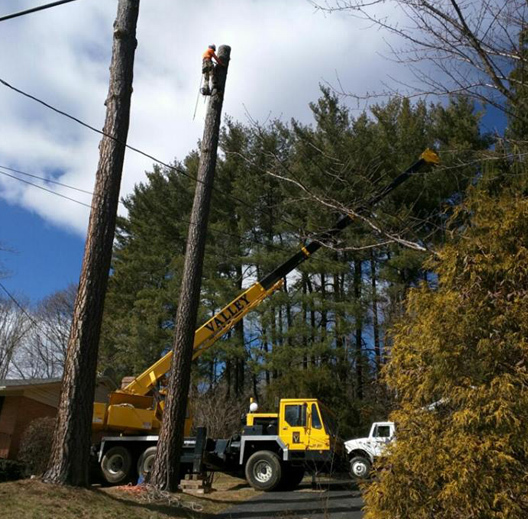 Not only will we help with clean up, but we will also make sure that your yard is completely safe from problems – including trees that were weakened by the storm that need to have a cable installed, get removed, or have pruning done. 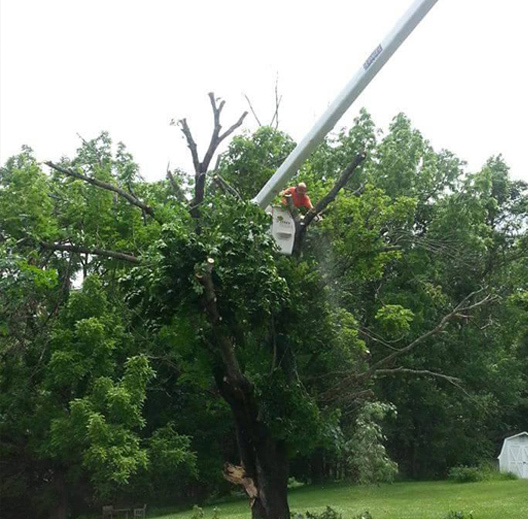 Call us today at (540) 886-5577 for a free estimate for clean up after a storm. If you have stumps in your yard, you know just how annoying they can be. You have to take extra care to mow around them, your kids are probably always falling over them, and they may even have infected your yard with whatever disease killed your tree. Generally speaking, it is best to get rid of stumps. Stump grinding is probably one of the worst things you can do by yourself – but so many people try it. What ends up happening is they get hurt, they don’t do a good enough job removing it, or they get the grinder and realize they have no idea what they’re doing. By the time all of that is taken care of, it would have been cheaper to hire a tree service. Skip all of those in between steps and call us today so that we can give you a free estimate on stump grinding – whether it is one or you have to clear a whole lot. In Need Of Our Services? Call Us Today! It doesn’t matter how well you take care of your trees, unless everyone around you is also taking the utmost care of their trees, you might run into problems. That is why getting your tree’s inspected and looked after is so important. Some yards are more susceptible to problems, some trees are more susceptible to problems, and even certain weather conditions make problems prevalent. If your tree falls into any of those categories, it is critical that you have educated team work on them. Our certified arborists and team of tree specialists know what we are looking for and know how to fix those problems we do find. We can also run routine maintenance so that we can keep everything healthy. The sooner you call; the sooner we can start our assessment. When you have weather like we do in Augusta County, you have to be careful about what happens to your trees. Many people forget that aside from being beautiful, they are also dangerous things to have in your yard. Our team has been selected for their knowledge and understanding of trees, which means that we can promise you the best results. From understanding the physics of trees to test their risk to working with high tech equipment, we can assess each and every one of your trees, regardless of size. It does take time to assess trees and look at them from root to tip, so it is better to call now. We will try to predict what is going to happen to your tree in the upcoming weather, incoming pests, and other problems. Call us today to get started. Tree topping is when the whole top of the tree (large branches and trunk) are removed, leaving stubs and the lateral branches. Properly done tree topping can be a benefit to your tree for multiple reasons, including the facts that the exposed branches get more water and light penetration. However, we usually top trees because it stimulates growth. The tree is able to grow something called suckers, which helps them to grow. This can result in taller trees that are fuller all the way around. Another big reason for topping trees is simple because of aesthetics. If your trees are producing too much shadow, blocking your view, or interfering with solar energy collection, it can be helpful. 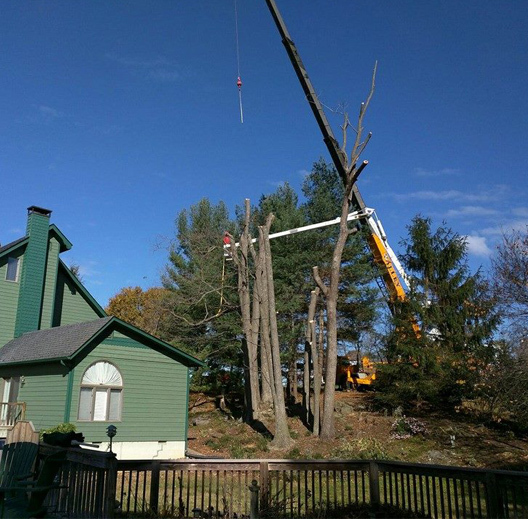 Call us today to go over the pros and cons of tree topping, and we will help you get started. Our hardwood mulch is produced by us from only solid wood logs and bark, which means that we know exactly what goes into it and what doesn’t. This enables us to stand by our work. Mulch will help you create gardens that are beautifully lined and prevent weed growth. You will need to mulch every year, though you can mulch at any time of the year. We also offer firewood that have been extensively looked over and checked for any problems. High quality firewood is well seasoned, which means it is lightweight, darkened, and the bark peels easily. In order to keep firewood high quality, it has to be stored properly so that it can’t draw moisture from the ground. Check out these others rules about firewood. Give us a call today and we will talk over our firewood and mulch prices with you. If you need some help with your trees, we are there to help you out. In Augusta County, there are trees everywhere that are just begging to made beautiful and healthy again. The team at Staunton Tree Service has a devotion to the safety of both you and our workers, as well as the integrity of both. Of course, we also care about your trees. We work to make everything affordable and still give you high quality results. We want to continue the service that you have come to know and love.